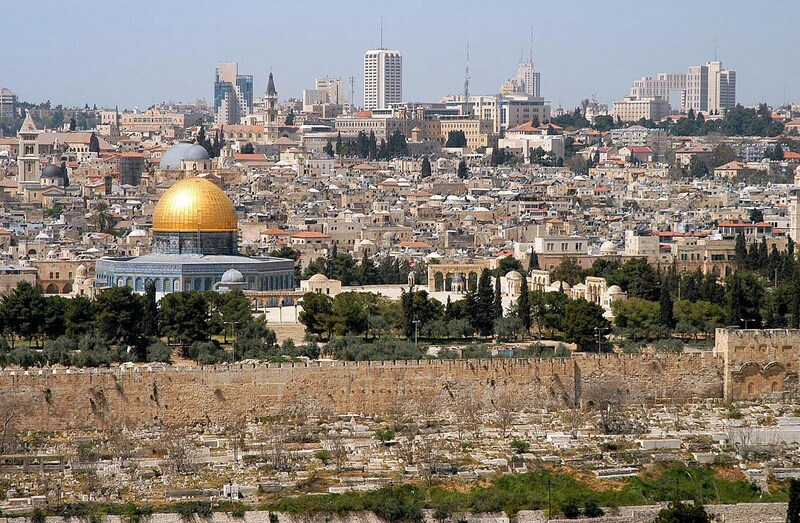 Over the coming days, the Episcopal Church, meeting as the General Convention, will consider several resolutions related to the urgent situation in Israel and Palestine. We recognize that as the convention considers these resolutions, we must continue the journey of reconciliation with our Jewish sisters and brothers for the centuries of oppressive and anti-Semitic behavior which culminated in our complicity in the Holocaust. At the same time, we must not let those horrific injustices blind us to the injustices perpetrated on the Palestinian people. Some of the resolutions call for applying economic pressure on Israel to end its 51year occupation of the West Bank, East Jerusalem and Gaza. Specifically, the convention has an opportunity to determine when and how to say no to financial investments that make the Church complicit in the occupation. The situation on the ground is far worse than we can imagine. Palestinians in the occupied West Bank, East Jerusalem, and Gaza live under oppressive, discriminatory Israeli military rule that controls almost every aspect of their lives. They have endured, and continue to endure, the theft of their land for Israeli settlements that have been deemed illegal by the international community, violate longstanding official US policy, and threaten the two-state solution. Families continue to be displaced, and their homes and agricultural lands destroyed to make way for Israeli settlements and walls that divide Palestinians from one another. The network of military checkpoints that Israel has imposed in the West Bank makes ordinary life impossible for Palestinians, preventing them from traveling from place to place to work, study, access urgently needed medical care, or visit family and friends. When accused of a crime, Palestinians – including children – are tried in Israeli military courts deemed unjust by human rights organizations. Meanwhile, Israeli settlers living illegally nearby on occupied Palestinian land enjoy the rights afforded Israeli citizens, are tried in civilian courts, and can travel about freely. In the Gaza Strip, 2 million Palestinians have suffered under a cruel and illegal Israeli-led siege for more than a decade, unable to leave the tiny, impoverished territory that has been called the “world’s largest open-air prison.” Over the past few months, some 120 unarmed Palestinians in Gaza have been killed by Israeli snipers, and thousands more injured, including women, children, a medic, a journalist and a soccer player, during weekly protests calling for their freedom and rights. The Israeli military’s use of deadly violence against unarmed protesters prompted outrage from the international community and human rights groups. In this inhumane environment of suffering and oppression, the Church finds itself invested in corporations long known to be providing products and services to those responsible for the occupation. This year the Episcopal Church sponsored shareholder resolutions to hold two of those corporations accountable: Caterpillar and Motorola Solutions. But company behavior has long been resistant. Adopting human rights-based investment decisions will ensure that the Church does not profit from the suffering of others. Such action will put us alongside our fellow denominations, including the Evangelical Lutheran Church in America, the Presbyterian Church (USA), and United Methodists, who have taken actions such as applying investment screens or other economic measures to ensure they, too, don’t profit from the suffering of the Palestinian people. Just as we rightly hear the cry of migrants seeking shelter and asylum on the borders of the US, so, too, does our conscience demand we campaign to end the detention of children and political prisoners caught in the 51-year-old vice of occupation. There is no escaping that the investment of financial resources in companies that support the infrastructure of this brutal occupation make the Church complicit in the injustices suffered by Palestinians. We offer our unceasing prayer as you discern what Jesus requires in this and all the sad injustices that face us in these times.